How do I change my name and email address? From Settings > Profile, simply enter your new email address and click 'Update User'. If you need to update the billing email address on your account, please contact Support via your in-app chat bubble. Note: Users need to update their own name and email address from their own account. Admins are not able to correct or change the username or email address for other people. 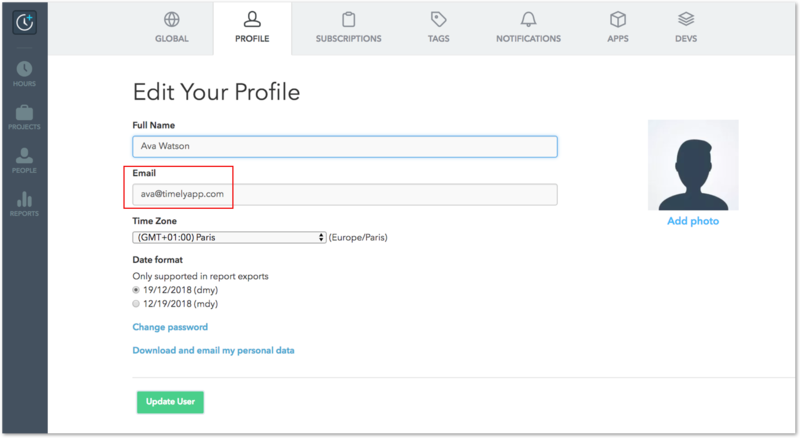 If you enter an email address that already exists in Timely, you will receive an error message and won't be able to make the change. Make sure the email address is unique, or delete your existing profile to proceed. Why would I want to change my email address in Timely? Let's say you already have a personal Timely account linked to your personal email address. Then you pitch Timely to your Company and they're now using Timely too! Logging out of your personal account, then logging into your work account with a different email address is a little inconvenient. You'll also need to log out and back into your Memory tracker each time your switch accounts. 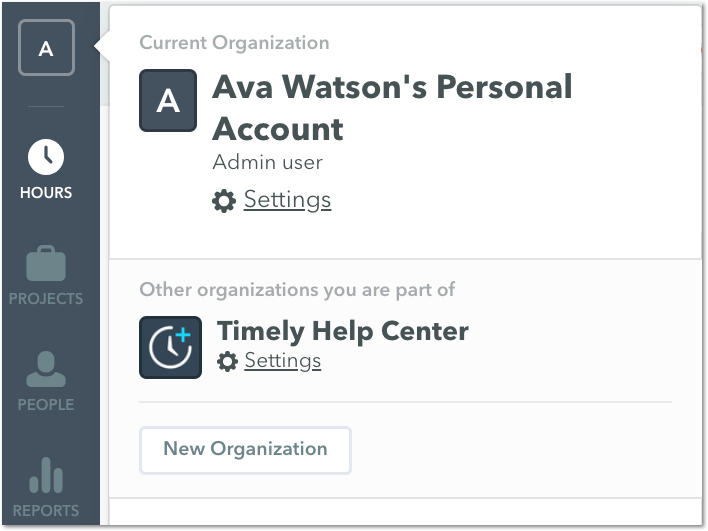 Changing your personal Timely account email to your work email address will allow you to easily toggle between accounts. Don't worry, the accounts (and your work!) will remain separate.